The thing that sets the Austrian jazz scene apart these days, that for which it is known and valued even beyond it’s borders, is the immense musical diversity present here. Whether in the traditional formats, the large or small ensembles, the experimental or avant-garde, in every part of the jazz scene it is quite apparent that they are taking place in the middle of a lively and innovative creative climate. And it is happening at an artistic and technical level that can hold its own at an international level. It is particularly, (although not only) the extremely experimental representatives of the younger generation that can take the credit. A generation that doesn’t shy away from a challenging crossover, a generation that has conceived of daring instrumental combinations and successfully created new and exciting hybrids as a result. A generation that has not only redesigned the garden of Austrian jazz, but contributed entirely new breeds of beauty and international renown. 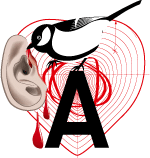 The number of recordings that have received excellent reviews in the international press continues to grow as do the number of awards Austrian musicians and bands receive, and the festivals they are invited to take part in. The Austrian jazz scene has come into its own as a part of the larger continental culture. There are many reasons why this has happened. One of them is the unprecedented number of highly skilled musicians being trained by the nation’s universities year after year. This large number of graduates, who have no fear of musical experimentation, results in the creation of new bands and formations that span the vast selection of jazz variations. An active community of professional clubs and initiatives has also contributed to this exceptional situation. Organisations like Jazzwerkstatt Wien, Listen Closely, Session Work Records, Laub Records, or TonArtTirol go beyond their various functions as labels, platforms or information centres and excel in the creation of concerts and festivals that are cherished by artist as well as audience. And then there are the clubs. A lively scene needs to be seen, and successful and well run clubs provide the stage for these talented musicians to present themselves. But locations like Porgy & Bess, Theater am Spittelberg, Blue Tomato, Sargfabrik, Jazzit, Stockwerk, or the Treibhaus aren’t just places for music to be consumed. They provide the setting for musicians and audience to meet, discuss and enjoy, and play an important role as a foundation of a living scene. The bands, musicians and ensembles presented in this brochure are only a small selection of the many exciting projects the Austrian musical landscape has to offer. Projects that have helped make the scene what it currently represents: a country of exciting and interesting contemporary and modern jazz that has a well deserved reputation beyond its borders. These bands have been a part of various cooperations with festivals like Taktlos Zürich, Jazzfestival Saalfelden, Jazzfestival Alto Adige and the development plan “New Austrian Sound of Music” from the Austrian Federal Ministry for Europe, Integration and Foreign Affairs. The brochure also includes a list of further links to ensembles, festivals, labels and media in Austria. 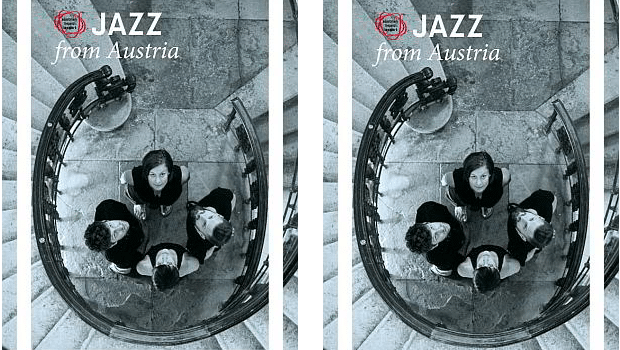 Enjoy reading about “Jazz from Austria”!